Here’s first footage of Anna Paquin and Holliday Grainger in Toronto Film Festival romance-drama Tell It To The Bees. 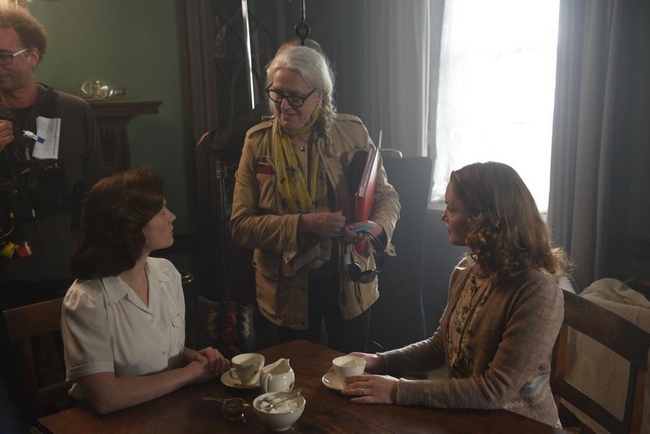 The story chronicles a lesbian romance in 1950s Britain between a single mother who is dealing with the breakdown of her marriage, played by Grainger, and a doctor, returning to her small hometown to take over her late-father’s practice, played by Paquin. The movie was released on September 9, 2018 at Tiff Canada.